“Palenque” means refuge or sanctuary, and that’s exactly what travelers will find on Isla Palenque, a 400 acre private island retreat just off of Panama's northern Pacific coast. For centuries, the islands dotting the emerald waters of the Gulf of Chiriquí have provided a safe haven for humans and wildlife alike. Pottery shards and stone tools found on Isla Palenque offer clues to the island's past Pre-Colombian inhabitants and the surrounding waters are rich with marine life, which flourishes without the pressures of human development. Today, guests can discover the island's past on guided forest hikes, scramble over ocean boulders to feel the spray from a blowhole, cast a line for rockfish, paddle a kayak or SUP along more than five miles of coastline or venture further by boat into the Gulf of Chiriquí National Marine Park to snorkel among tropical reefs and lounge on deserted white sand beaches straight out of Robinson Crusoe. Only 5% of the island has been carefully & sustainably developed so guests at Isla Palenque will find plenty of serenity and seclusion. Accommodations include just eight gorgeous beachfront casitas and a six bedroom villa perfect for families or groups of friends. Yes, Wifi throughout and complimentary. Cell service is not available on Playa Palenque. Guests should download WhatsApp or enable wifi calling to use cell phones for calls. Two pools, private beach access, kayaks, SUPs, on-shore fishing gear, assorted on-island guided tours, complimentary yoga classes, rum tastings. David (DAV) receives frequent daily direct flights of approximately 60 minutes in duration from Panama City, from both the Alrbook (PAC) and Tocumen International (PTY) airports. Air Panama flies via Albrook and Copa Airlines flies via Tocumen. Tocumen International Airport (PTY) in Panama City is a 1 hour flight from David. Most guest arrive David and then arrange a transfer to the port town of Boca Chica, a one hour drive on mostly well-paved roads. From Boca Chica it is a 15 minute boat ride across gentle water to Isla Palenque on the resort's private covered boat. A helicopter pad near Boca Chica provides another option for arrivals. Isla Palenque is also approximately one hour south of the border between Panama and Costa Rica. Guests traveling from Lapa Rios or Southern Costa Rica can arrive overland or by private boat. Dry Season brings four months of glorious sunshine and almost zero rain. During Green Season, most days on the island will be sunny or partly cloudy, with an afternoon or evening “warm” storm that typically lasts a few hours. In Rainy Season we can get some downpours but don’t let the rain discourage you – October is the very best month for humpback whale watching in the Gulf and attractively discounted rates and added-value extra nights reward travelers during these months. Isla Palenque is the ideal natural playground for all inquisitive travelers; the variety of activities and tours, flexibility to design your own schedule and miles of gorgeous beaches are a delight for families and children of any age. Flights to reach Panama and David are relatively short for travelers coming from North America and the infrastructure in-country makes for a quick transfer from the David Airport to the port of Boca Chica (45 minutes on good highway roads) where a short boat ride (15 minutes) brings guests to Isla Palenque. Beachfront casitas easily accommodate two adults and a child (or two younger children) and the six-bedroom Villa Estate is perfect for a multi-generational family group of up to 14, offering private & secluded accommodations but access to all of the amenities, activities and experiences that guests in the beachfront casitas enjoy. Meals, while creative, locally sourced and organic, are unpretentious affairs served family style, so there are ample choices to accommodate picky eaters and great variety for young kids with an adventurous palette. With parental supervision, or while partaking in guided activities like rainforest walks and boat trips, kids will find tremendous opportunities to learn, explore, discover, and play on Isla Palenque. For quality relaxation time, choose between direct access to a number of beaches, the pool & rancho or just post up in one of the hammocks or on the porch swing right outside your casita. The minimum suggested is three nights. 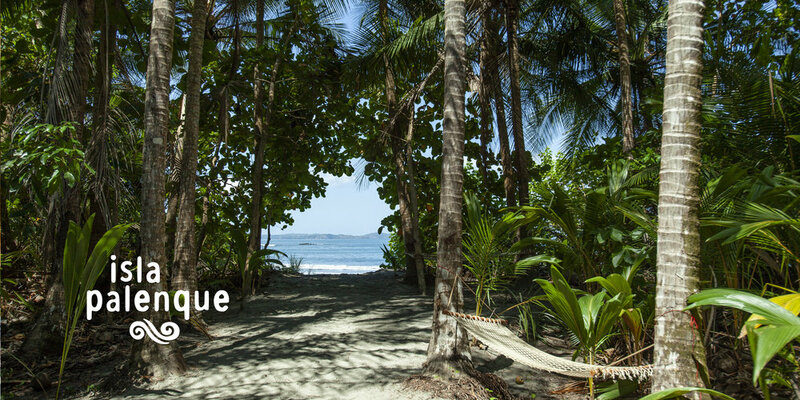 Four nights is ideal which will allow guests to explore much of the surrounding island on excursions and include one off-island trip to snorkel and explore the Gulf of Chiriquí National Marine Park, but still provide for some down time at the property. Isla Palenque was inspired by Robinson Crusoe. After reading Daniel Defoe’s novel, Isla Palenque owner and designer Ben Loomis set out in search of his own private island hideaway. He spent five years living on the Isla Palenque, often just sleeping in a hammock near the beach, dreaming up the best way to develop and share the island's wonders with visitors. In contrast to other "beach" destinations in Panama, the Gulf of Chiriuí isn't overrun with large international hotel chains or backpacker focused bars and hostels. It's relatively undeveloped, offering travelers peace and tranquility plus the chance to explore unspoiled nature. Enjoy delicious cuisine that blends traditional dishes with international flavors from a menu designed by acclaimed Panamanian Chef Andres Morataya. His award-winning restaurant Panga, on the Azuero Peninsula, draws inspiration from the surrounding ocean, beach and forest and he applied the same food philosophy to Isla Palenque. Many fruits, vegetables and herbs are grown on island and fish & seafood is purchased from local anglers. The emerald waters surrounding Isla Palenque are home to hawksbill and leatherback turtles, hammerhead sharks, white-tipped reef sharks, manta rays, and dolphins. Humpback whales calve in the area from late June to November. October is the best month for whale watching. For the best snorkeling, arrange a day tour into the Gulf of Chiriquí National Marine Park. Extremely clear water near some of the farther outlying islands reveal thriving coral reefs and a rich array of tropical fish. 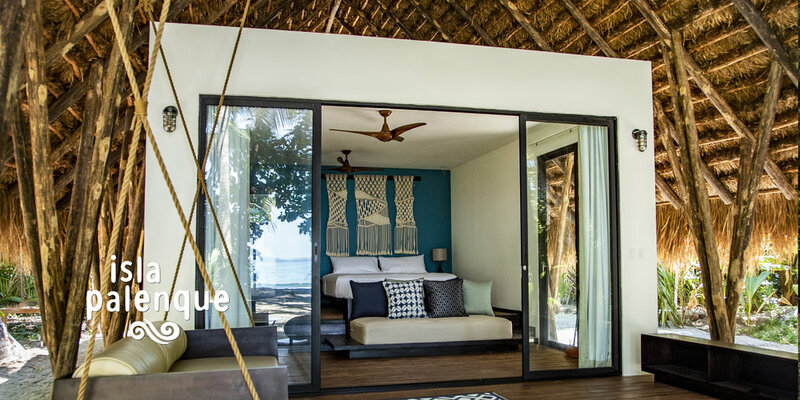 Isla Palenque is part of the Cayuga Collection, an award-winning & visionary company that seamlessly blends luxury boutique hotel experiences with sustainable management practices. 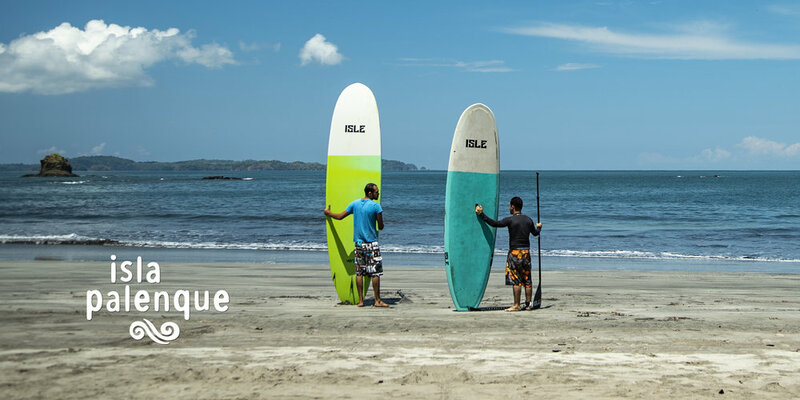 Guests will receive the same friendly service from the local staff at Isla Palenque as they would at any other Cayuga properties in Costa Rica or Nicaragua. Combining a 4 night stay at Isla Palenque with two days in Panama City makes a perfect quick getaway to Panama and an easy stopover to break up a longer trip further south to Chile or Argentina. Travelers with more time can combine Isla Palenque with the West African cultural influence found on the Caribbean Coast near Bahia Portobelo, the rainforest & indigenous communities found near Lake Gatun and the cloud forests surrounding Boquete in the Chiriquí Highlands, home to the resplendent quetzal and the world's most expensive variety of shade-grown coffee, Gesha. Situated steps from the sand, 8 beachfront casitas are nestled within the tropical forest on Isla Palenque’s largest West-facing beach, allowing guests to take in fabulous sunsets from their porch swing. 860 sq. ft. of air-conditioned indoor living space merges with an outdoor ‘covered’ bathroom complete with showers a deep soaking tub, a spacious front porch and plenty of hammocks & swings for lounging. All casitas have a king bed and a convertible sofa. Binoculars, woven beach mats, meditation cushions and yoga mats are included. Spanning a hillside that leads to a private beach on the East side of the island, the 6-bedroom Villa Estate is a perfect hideaway for larger families or groups of friends who want extra privacy and their own shared communal space. Six bedrooms differ in layout and accommodate a maximum of 14 guests and the Villa Estate boasts a private pool, bar, cabana and beach access. Breakfast is served in the Villa’s dining room though many guests opt to take their other meals and socialize at the main island bar & restaurant at Las Rocas. Villa guests have access to a private concierge on-site 4WD vans are on call to provide access to various points of the island.